Where there is a Kryptonian, there surely will be a Luthor. It’s a balancing act as old as the medium, and Supergirl joined that timeline with a thorough injection of one Lex Luthor. The master manipulator played Lena to get his hands on her super serum to cure his cancer, but that proved to be only the tip of the evil iceberg. After all, things are never that simple when it comes to men like Lex. Especially when he has his own Kryptonian on hand. Lex’s recent emergence doesn’t accurately represent his level of influence behind the events that got National City where it is currently. His conviction three years ago garnered him an enthusiastic fangirl turned operative, Eve, whom he places within CatCo and L Corp. He also has Otto Graves in his employ. The trio operate together for two and half years before Lex learns of the second Supergirl in the care of the Kaznian military. Overwhelmed by her powers, the Supergirl clone, codenamed Snowbird, responds to a call for help from a young boy. He blackmails the warden in order to meet with the Kaznians and immediately fawns over the Kryptonian clay ready to be shaped before him. The product of black kryptonite, Snowbird is the perfect weapon, but Lex needs more to start his culture war. He orders Eve to push Lena’s experimental research while Otto empowers Ben Lockwood as a patsy to rile up anti-alien sentiment. 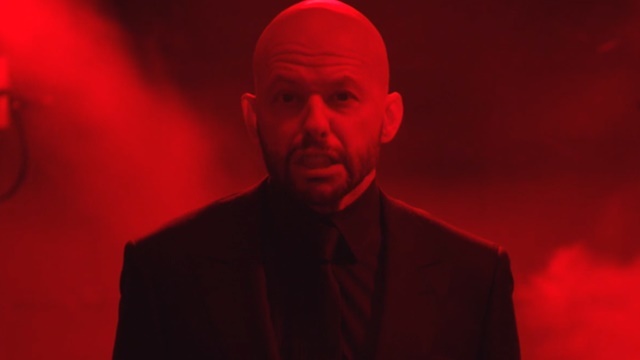 Lex has a plan to save the nation and remake it in his own image. Promising to train and control Snowbird, Lex gets unbridled access to her. He sends her book after book, educating her on western philosophy, economic theory and the power of destiny. The two major pieces they focus on are The Great Gatsby and the story of Alexander the Great. Snowbird’s infatuation with Gatsby angers Lex as the book is meant to represent the vapidity of consumption. Alexander stands as an allegory for Lex’s mentorship of Snowbird, constructing her into a figure worth following. It also helps that Snowbird’s only memory is of the name Alex, a fact that Lex immediately factors into his manipulation. The act is complete when Lex uses the Kryptonite pollution caused by the Graves to indoctrinate Snowbird against the United States. The teachings culminate in Lex bringing Snowbird to National City while Kara was on vacation (the Elseworlds event). Lex’s lessons on capitalist consumption turn Snowbird against America, but a visit to Kara’s apartment calls some of her indoctrination into conflict. Meeting Alex and reading Kara’s journal offer a vision of Supergirl that aims to help people rather than keep Kaznia impoverished. Her doubts about Lex’s teachings force him to take things up a notch to preserve the charade. Lex, Otto and Eve pull off an elaborate frame job. Consequently, Snowbird believes that the U.S. military bombed the house of the young boy she saved. Don’t worry, Otto let the boy go safe and sound. Snowbird doesn’t know this though, and the blown out lot enrages her. She attacks the battleship with vengeance in her eyes. Lex saves the sailors, though he does so only to preserve his own operation. 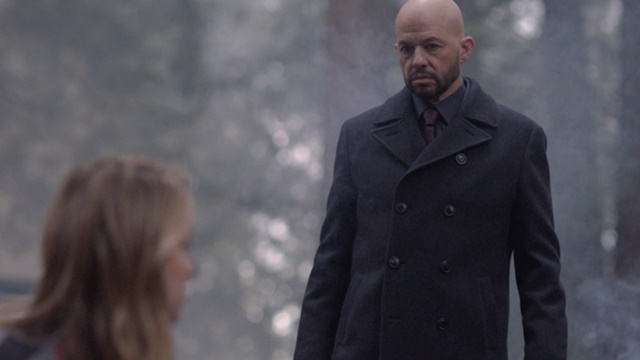 Lex walks away from Snowbird altogether after this only to return months later when she falls ill. She needs Lena’s super serum to survive, so that’s exactly what Lex will do. He gives himself cancer in order to push Lena to finish the serum and cures Snowbird via a blood transfusion after taking the cure himself. The two reconcile and Lex gives Snowbird her own super suit before deploying to National City. A battle between Supergirl and Lex doesn’t go our hero’s way. Regardless, she rushes in to warn Alex and James of Lex’s return. This could be Snowbird though as she gazes over the city as Lex’s Red Daughter. 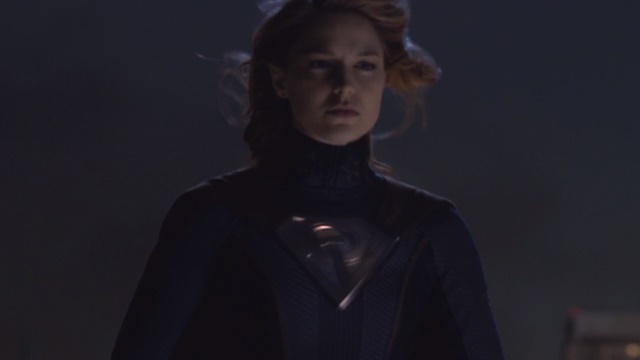 What do you think about Supergirl season 4 episode 16? Let us know in the comment section below!